Popular Turkish motion picture Börü which tells the story of an elite police force fighting putschists on the night of coup attempt of July 15th 2016, hit the theaters in Germany this week. Terrorist-PKK related circles as well as German media have been disturbed by the much anticipated movie’s nationalist sentiments. 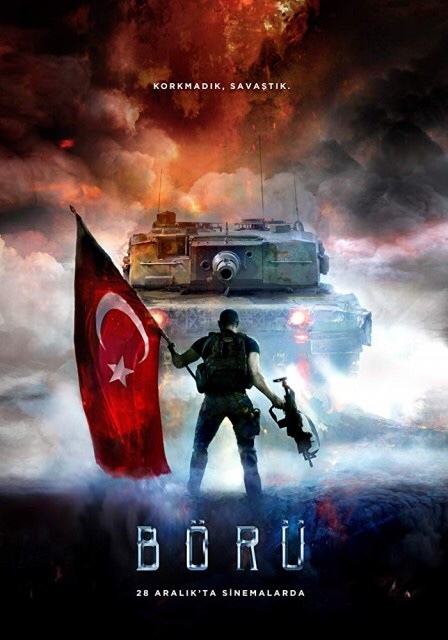 Börü (meaning a type of grey wolf) is produced as a motion picture sequence to Netflix series which told the story of the most elite police force fighting PKK terrorists in the south east Turkey as it also struggles with Gulenist infiltrations in the state. The series depicted the unfolding events in the past decade in Turkey, climax of which was the failed coup on July 15th, 2016. The 6-episode series started with terror-sweeping operations in south east Turkey in 2015 and ended when the infamous quashed coup kicked off. The movie told the coup night when police and army loyal to the state fought Gulenist infiltrators during the night of the coup. As the movie hit the theaters in Germany, terrorist PKK circles as well as the German media reacted to the movie. German daily Bild claimed the series purported all the Kurds as terrorists. “I watched the series on Netflix. It showed how special forces cooperated with Kurdish villagers whom are forced to obey terrorist PKK,” said the 28 years old Murat Canik who was born and raised in Germany. He pointed out that events in Turkey are totally different than how German media reports. German politician Ali Ertan Toprak who is known for his ties to terrorist PKK sent a letter to Netflix to have the series removed from the popular platform, according to Bild. The series depicted how Turkish state also struggled to fight terror group ISIS. The first episode started with the ISIS terror attack in Reyna night club in Istanbul that took place on 2017 new year in which 39 people were murdered. The movie, however, criticized by the viewers for creating an assumption that the fight against Gulenists and coup attempt was achieved by ultra-nationalists. “There is no reference to conservatives in the army and police,” said Murat Canik.